Home Tags Posts tagged with "ccar"
Twenty eight banks out of 31 have passed the Fed’s annual stress test in the US. As part of the Comprehensive Capital Analysis and Review (CCAR), the Fed evaluates a bank’s capital adequacy and planned distributions, such as dividend payments and common stock repurchases. Deutsche Bank and Banco Santander failed for “qualitative” reasons and Bank of America will need to resubmit their proposal. US units of Deutsche Bank AG and Banco Santander SA have failed a US “stress test” designed to assess whether lenders can withstand another financial crisis. 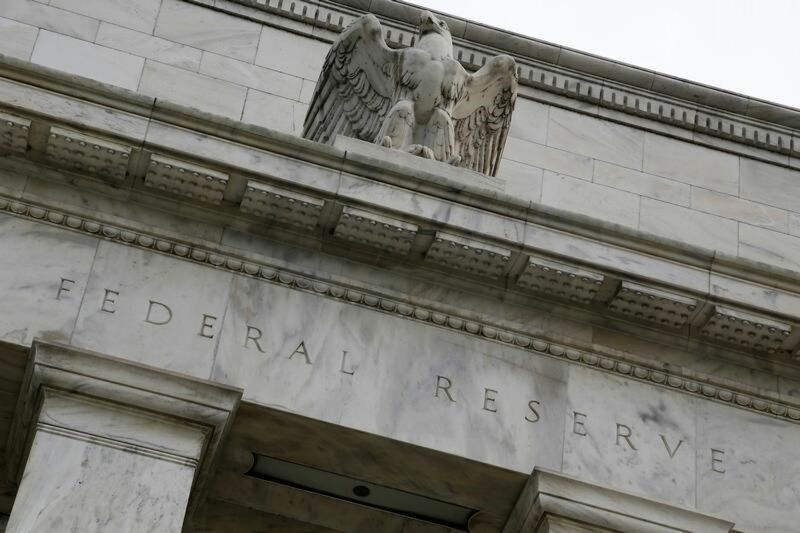 The review, carried out by the Federal Reserve, gauges whether the biggest banks operating in the US have the “ability to lend to households and businesses even in times of stress”. Another institution, Bank of America, has been asked to revise its financial plans due to “certain weaknesses”. A further 28 banks passed the tests. Officially known as the Comprehensive Capital Analysis and Review (CCAR), the tests were implemented in the aftermath of the 2008 financial crisis, in which some lenders needed bailouts from the Fed. All banks with more than $50 billion in assets are subject to the annual examinations, which assess the corporations’ ability to deal with “doomsday” scenarios, such as rising unemployment and plummeting house prices. 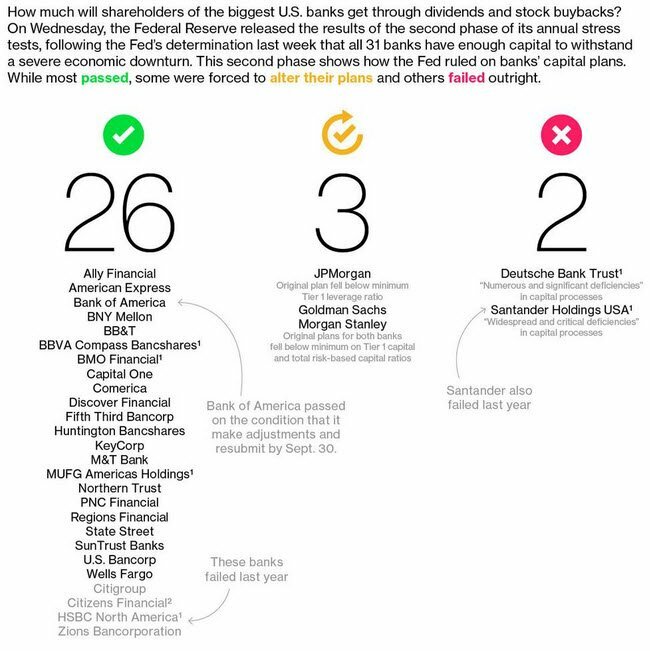 In previous years, banks that failed the tests have been forced to suspend dividend payments to shareholders. In a statement, Deutsche Bank said it had hired 1,800 employees “dedicated to ensuring that its systems and controls are best in class”. Santander’s US chief executive, Scott Powell, said the bank still had “meaningful work to do to meet our regulator’s expectations and our own standards of excellence”. However, Santander added that it had not been prevented from paying dividends.